Kingfish Pest provides high quality termite, pest and wildlife control in Greater Jacksonville and the surrounding region. 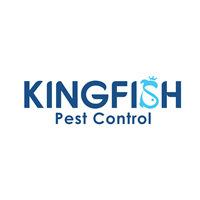 Kingfish Pest has earned numerous awards for its rapid growth and outstanding customer service. With a mindset toward technology, the forward-thinking company consistently delivers results and convenience to its loyal customer base. By living out its core values, Kingfish Pest creates exceptional value for its customers. Well done - on time and through. Very efficient and responsive. Prices were reasonable and explained in detail. Would highly recommend. The technician was very professional. He was informative on the process and procedure. Customer service is wonderful, professional. I can appreciate how they keep you informed when and if they are running late and that they are eager to meet your appointment. The call before the inspection is great. My tech was very pleasant and fast with the job. I have always been pleased with Inspect-All services. Inspect-all services all my "pest" concerns. I have been a customer for about 2 years and have great confidence in them. Excellent service with professional and courteous technicians. I have been a customer since 2015 and the service is top notch. Thank you for keeping my home insect free! Service technician excellent. Price for renewal I believe to be high. I am happy with the services provided by Inspect-All. I’ve used them for installing a moisture barrier, a new roof, gutter guards, annual termite service and quarterly pest service. The staff is very responsive. I’ve only had one issue with one employee, but overall they are a great company. I highly recommend them. Everything has been working good! I love that a picture of the technician is sent so I'll know who is coming. The service is very effective, I wouldn't go without it. The only complaint is once a year just before spring, do a perimeter defense. this is when the roaches are at their peak. I have no problems with bugs in my house!! Excellent service with very courteous and professional employees. I really do like inspect-All. You are competent professionals. I have recommended you to others. Thank you for coming back out & hopefully noting my account that I only want my home serviced when I am at home, because I want the inside & outside serviced. Thank you again for your services. My name is Claudia Jarrell I have used Inspect-All Services for 10 plus years never been unsatisfied with there work at my house you need to try them you will be please with the work and the friendly peoples. Great job! On time! Awesome results! Highly recommend! always been there when i needed them ! Technician was punctual and efficient and took great care in not tracking dirt into the house. He quickly found the problem and recommended a solution. Satisfactory job done. However, it is too soon for us to determine the effectiveness of the job done for us because we are only trying to be pro-active. There was no insect or bug invasion of our residence before your job was performed and there has been no bug after the completion of your job so far. We will continue to watch out for any occurrence in the next 3 months. Preventative action is what we believe in. We try to do this ONCE a year and it has worked for us. Hopefully you will be coming back to us in March/April 2020 if you like us as a client. Thank you and God bless.